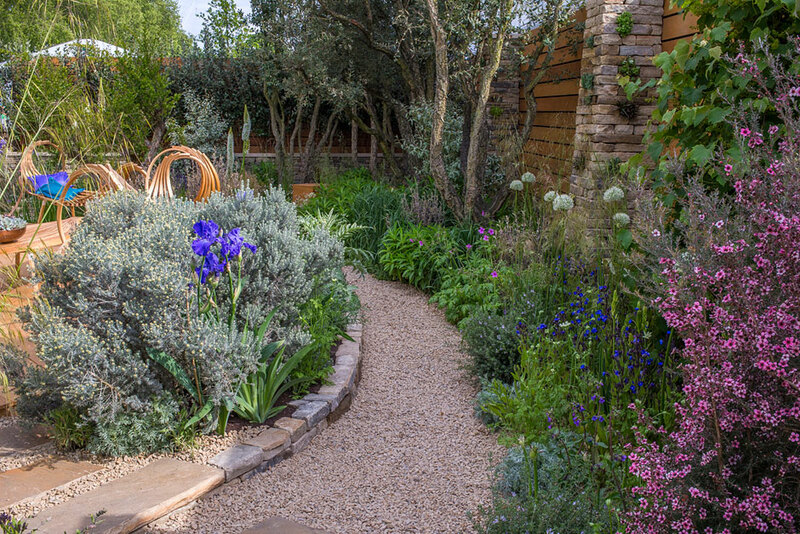 2015 RHS Chelsea Flower Show. 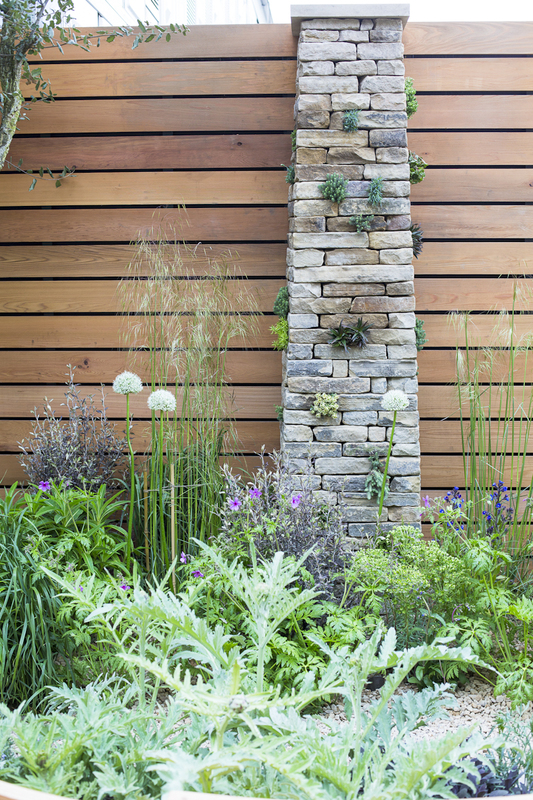 A contemporary garden from Matthew Wilson which explores living sustainably through good design and understanding the importance of conserving fresh water. 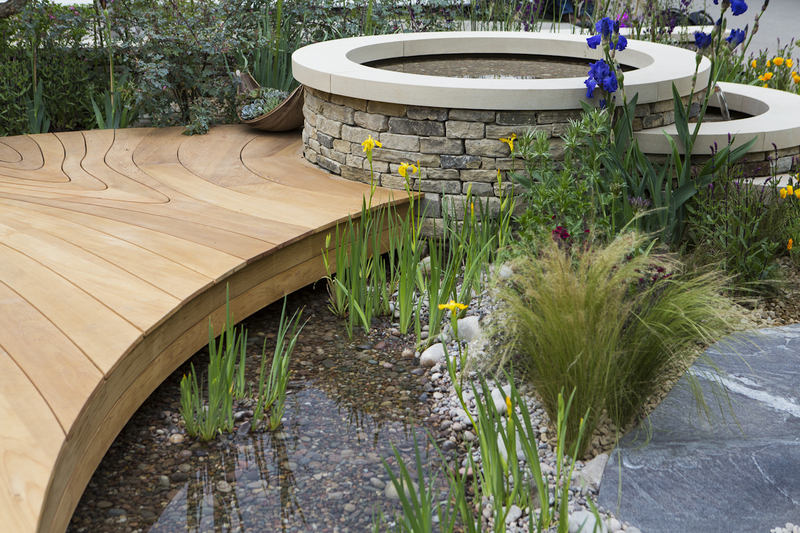 The garden was divided into three main parts; a zero irrigation ‘dry garden’, central water harvesting/storage zone, and edible garden, with a raised seating and dining platform. We were involved in supplying the walling stone, building the boundary dry stone walls, three tapered pillars and a lovely cascade water feature. The sponsor was Royal Bank of Canada. The garden gained a Silver Gilt medal. 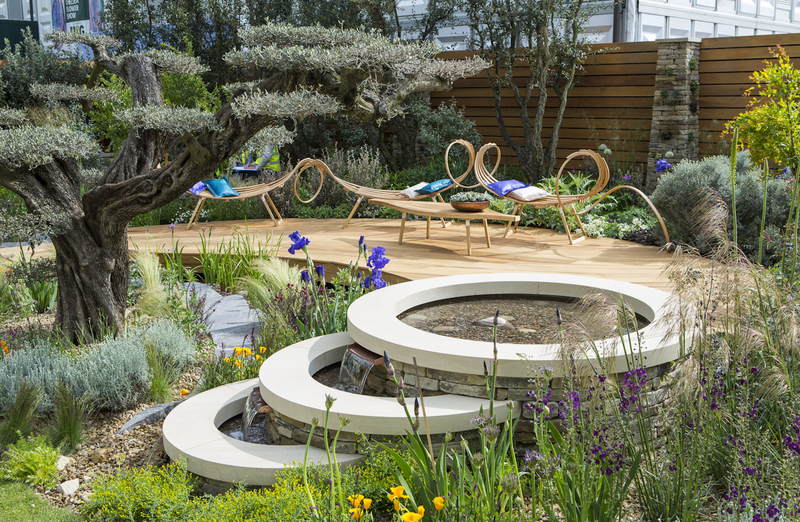 Royal Bank of Canada show garden with Designer Matthew Wilson at Clifton Nurseries, RHS Cheslea Flower show 2015, London May 2015.